The Wisdom Mama Shared As She Felt So Misty Blue! It’s a funny phenomenon to experience that good old nostalgic feeling. I mean, when you hear an old song or see an old face that really meant something to you in your past, it floods your mind with an even more detailed memory of the people, place and things that you may not have easily conjured up on your own without that very welcome but unexpected external stimulation of a visit. I have so many of those moments everyday. While I have never taken an illegal drug before in my life and don’t ever plan to, I believe I walk around normally in a heightened state of being comparable to what others experience when they say that they are on the drug ecstasy. While many judge my appearance and figure that I am some kind of tough guy, I in fact might be the most sensitive “tough guy” that you will ever probably meet! I sadden easily and sympathize at the drop of a dime at the obviously manufactured sob stories of a convincing alcoholic who merely wants a few bucks to get yet another bottle of cheap liquor to sooth the past failures of his life and the memories that haunt him. 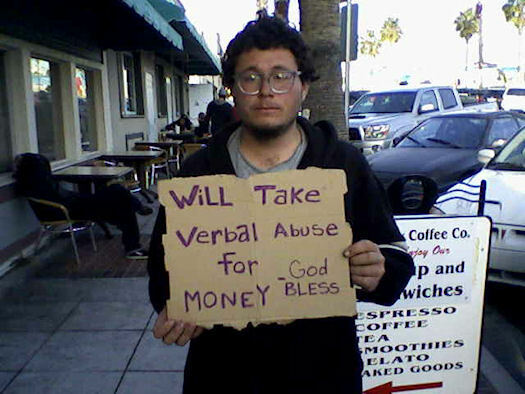 Did I really get duped into giving that guy those few dollars because I am such a sensitive caring type or was it the more selfish reason of being scared of one day becoming that guy if I had to endure a major catastrophe of the heart at the hands of some wayward viper of a women as so many broken men do? So I guess it’s my fear of seeing my potential weaker self in these downtrodden and very lost souls who seem to blend invisibly into the urban landscape quickly. But not after you’ve placed those crumpled dollars into their cold swollen hands that more resemble a baseball catcher’s mitt than a human hand. They disappear instantly. Then you quickly realize that you have been duped into their obvious hustle once again that feeds their addiction but instead of getting angry you count your blessings anyway because at least you have a roof over your head and a job to go to. Seems like the hustlers and shysters of the world can spot a sentimental guy with a soft spot for the needy no matter how imposing and intimidating the visage worn that day may be. Ha! That’s seems to be the story of my life……. Anyone who truly knows me knows I have an immense appreciation for music. All kinds of music. It’s the way I was raised. I mean, arriving to this world in 1963 in New York City put placed me strategically at the epicenter of a cultural earthquake whose still sizable tremors from that time are still being felt the world over! Hearing opera sung everyday in my home from birth because of a Julliard school graduate of a Mother automatically put into my soul an advance appetite for all things pleasant to the ear. 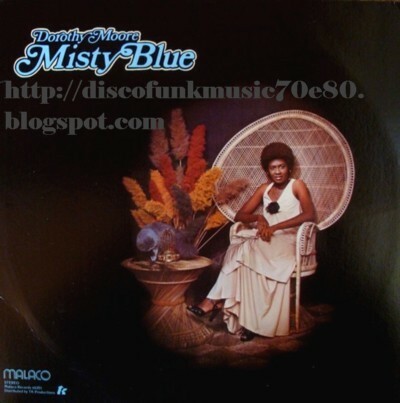 Couple that with having a hip Brother who kept playing the latest vinyl of the day with his vast collection of 45 rpm hits that encompassed the entire spectrum of the Motown era and beyond. And let’s not forget the musical taste of a Jamaican Father who made sure I knew my culture while having a deep respect for an American culture that still had value when compared to this trashy money driven demonic technological music that has no soul. So I pretty much came “out of the box” equipped to be as unique as the best of them as far as my knowledge of music and my cultural tastes are concerned. It’s funny, when you meet a kindred spirit who possesses a deep love for the same thing that you do, the title of “stranger” goes right out of the window as you both light each others faces up with a glow that usually comes from reuniting with a childhood friend to whom you haven’t seen in ages! This is the beauty of sharing something in common as small as a hobby or being bound together in something as large as a beautiful culture. This love for the common indulgence of culture will cross age, language barriers, lifestyle preferences, political affiliations, race, religious beliefs and every conceivable barrier that one could think of. This is the power of culture and all things associated with that culture. Let’s not forget the food! Now that can be an article that stands on its own! But for the purpose of my shared tale today I will focus on the music. 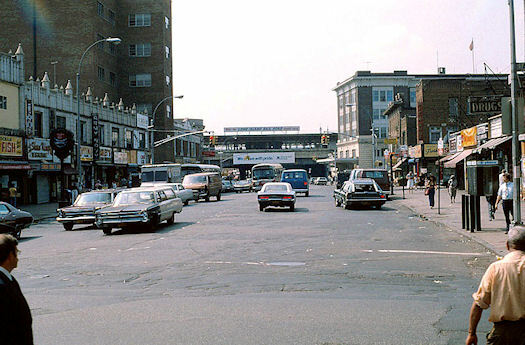 Growing up in Queens in the late 1960’s and 70’s was a very unique experience indeed whose factors will now never be the same to duplicate the pleasant upbringing that I had for those who now occupy that same particular place that I once lived. The structures are the same but the soul that I knew is not there anymore. Maybe the people who live there now have their own intense feelings of being in the “good old days” for themselves but for me to think I would find it there I would be quite foolish to believe that. But this is the catch, the beauty of those memories is not attached to a physical location, sure, you can visit and get pretty nostalgic when viewing the remaining structures and terrain of your past. But the true residence of those wonderful memories dwell in the people who experienced them with you. So more important than visiting the old neighborhood is to keep in close touch with those precious people who lived in that same neighborhood no matter where they may have relocated to. It is they who comprise the body and soul of your distant past an house the emotions of that very important time and place. That being said allow me to share a tale from my past that affected me to this very day. I had to be about thirteen years old or so at the time and used to play my music while in my room up until the time I went to sleep at night. I guess you can say that I was always in a deep state of meditation even from such a young age. Because of the way my parents home was set up with my bedroom in the very front of the house in a brick enclosed porch on the first floor, it was easy for my buddies to walk up and tap on the window to see if I was up because they may have seen the lights on or heard the music that I played. So it never surprised me to hear a soft tapping noise even on a school night when I had to make sure to get into the bed at a decent hour because if I did have company it probably wouldn’t have been for long anyway because whoever visited had to either get up early in the morning for school or work also. So when Fridays would roll around I would normally stay up a little later because I didn’t have to get up early in the morning like I did for the rest of the week. Music would always be playing whether I was reading or drawing. It was a mainstay in my normal diet of healthy indulgences and I am forever thankful to my parents for allowing me the freedom to enjoy such a wonderful childhood of self exploration. But I have to say that I was a good kid who earned that freedom also! Lol! Usually when I get that late night tapping on the window and it’s one of my friends we would usually either play some more music, read some comic books (Remember, I was about thirteen years old!) or maybe eat some McDonald’s that my friend Angelo would bring over after closing at his job. He’s a few years older than me and to have him visit with the goodies was always a welcome visit. But on this particular night would be different. I heard a tap on the window that seemed to be a bit heavier and unlike any that I ever heard before. It definitely wasn’t a familiar knock at all. I peeked outside through the venetian blinds as I always do and was surprised to see that it wasn’t any young buddy of mine but it seemed to be a grown woman! What gives? When I turned on the front light to investigate further I realized it was the older lady who lived across the street. It wasn’t a strange thing for her to come over and visit with my Mother or Father, but I got the feeling that she was knocking the side window to my room to say something to me. It was about maybe 9 p.m. in the evening. It was a Friday so I didn’t have to get up early the next morning and I was playing my music but it wasn’t necessarily loud but you could hear from outside it if you listened hard enough. I was aware that my neighbors might be listening if they were on their front steps so I kept this in mind when I played my records, I loved to play love songs and was definitely a hopeless romantic even at such a young age. 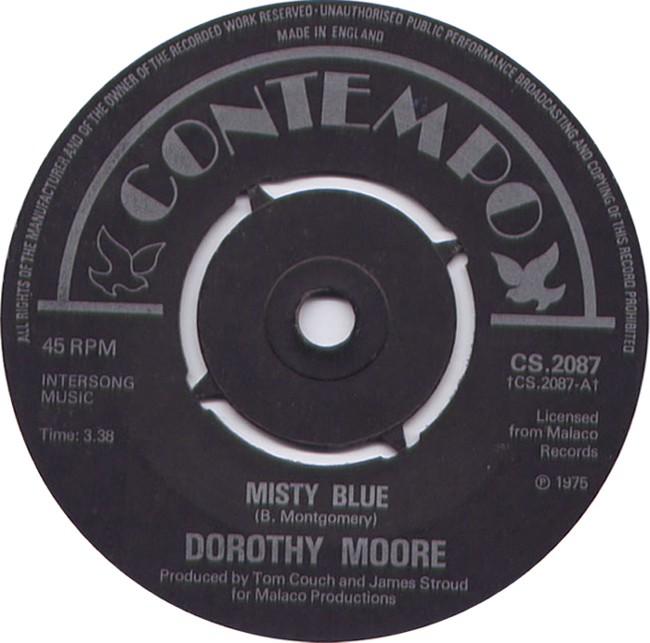 The song that I was playing at the moment was Misty Blue by Dorothy Moore. To me, it help to wind me down after a busy day of school and playing because as a child I was so hyped up. Can’t you tell? I’m 48 and STILL going strong! LOL! But anyway Mama (As they called her, she was one of those beloved neighborhood grandmothers to whom everyone respected and looked out for) told me at my front door that she absolutely loved that song and wanted to know if she could hear it inside with me for a little while. I told her that it was no problem and that she could come in. My parents were still up and peeked down the steps to say hello to her and she told them that she wasn’t going to be long because she just wanted to hear the beautiful music that their son (Yours truly) was playing before she retired. I was away only for maybe four minutes but returned to my room only to see her slowly dancing to herself with heavy tears rolling down her eyes. I immediately thought to myself that she probably missed her husband who had passed away only about a year before so I didn’t want to interrupt her while she had her moment with her thoughts. I sat there in the next room in the dark and was amazed at the display of emotion that Mama had showed to me even if she didn’t know I was watching. The tears continued as she began to sing out loud the exact words of the song that now seemed to originate from her lips as she took to the song like a duck to water! She swayed to and fro so light on her feet for a slightly heavyset woman but the passion that she felt in her heart enabled her to move about like a woman one quarter of her age. Just from this observance alone I learned a lesson at such a young age. And that lesson was that true love and passion never dies. If you saw her face as I did, you would see the young impressionable girl that she once was when she met her future husband. These were the days of the long term relationships where every woman or rather most women supported and loved their man until the day they died and beyond! This rare breed of a woman would even go above and beyond what God’s word said in that a woman was free to marry if their husbands passed away. NOT MAMA! She wasn’t having any other man for her in HER life and she trusted in the God above that somehow someway she would be reunited with her husband on the next level whatever that next level may have been! They don’t make them like that anymore and if they do it’s rare! So much was revealed to me from my vantage point in that darkened room that was adjacent to my bedroom where mama seemed to be oblivious to all that was around her as she was catapulted to a distance place and time from her younger years. The tears glistened over her full Jamaican cheeks while the most beautiful smile illuminated her beautifully chiseled face that still possessed the glow that had to catch her deceased husbands eye those many decades before I was even born. After the record played for the sixth time she still seemed to be going strong but she abruptly stopped all movement and got down on her knees and pray while supported her self on the chair that was in my room. The record began to play for a seventh time and she prayed throughout the entire song. She prayed for the soul of her husband as she thanked God for sending her such a good man that never broke her heart and always gave his all in every single moment of their time together. Imagine, her husband was dead yet very much alive in her heart as the love still soothed her in her state of widowhood and she still had the presence of mind to thank God for all that He had given her in her long and colorful life with her husband by her side. She began to thank God for bringing her through the tough transition of immigrating from Jamaica to the United States in their present location of Queens, New York City. She praised God out loud for saving one of her Grandchildren from a possible long prison term for which he was eventually found innocent. She glorified Christ’s name for the time she beat cancer when she was in her late thirties and still was healthy enough to bear two more children who are successful in this life. She seemed to me to be going down the checklist of her life and I wasn’t about to interrupt her as I knew that I was witnessing a special moment indeed. She was verbally gracious in thanking God for giving them the ability to make it through some tough financial times even when her husband was out of work and she had to work the three jobs until he was blessed with employment. She prayed for a wayward grandchild who seemed to be on drugs and told God that she brought it all to Him and for Him to have His will. She went on and on as the tears of mixed joy and bittersweet sadness that came from the void left from the passing of her husband hit her in the hardest way. But as the song came to an end once again as she magically fetch a crumpled napkin from her purse to dry the tears that flowed so abundantly she looked over into the shadows where I sat as though she was aware that I was always there and told me that she couldn’t thank me enough for allowing her to enjoy that song because it reminded her so much of her husband because he loved it so much. I told her that I am glad that she enjoyed herself and that I loved her and gave her a hug. She told me that the day will come when I will know exactly how she felt and that I was to obey God in this life with all of my heart because there is nothing in this world more important than my relationship with the Lord. She told me that if I never remembered anything else that has has ever told me that I should make sure to remember that! Those were the same words that my Mother always told me but it was a fortifying and validating experience when someone else out of your immediate family tells you the same thing. She looked me straight in my eyes and told me that God had a big work for me to do in this lifetime but I am to be careful of having to many girlfriends and to not get caught up and lose my focus because of it. I thought to myself that why would she tell me something like that so specific when I was only a thirteen year old boy. But she knew what was up the road for me in that department and I must say that she was quite prophetic indeed. She told me that it was time for her to leave and for me to get myself to bed and that I should tell my parents tomorrow what wonderful people they were to her and how being neighbors with the Scurvin family has truly made her feel like she was home even more so in her native Jamaica. she especially made a point before walking out of the front door to turn around and gaze over the interior of my room and then said to me that this house is covered under the blood and as long as I stay obedient to God’s will that I will never have anything to worry about even when the times seem rough. She kissed me on the forehead and started down the outside steps. I noticed that she kept saying thank you Jesus under her breath and that she said she thanked Him for such a wonderful life. Something about the way she said that struck me as odd…….but oh well, what did I know, I was just a young budding teenager……. I turned off everything and peeked in on my parents who were now gone to the world of the conscious, I then jumped into my bed and turned on the nightlight to get a few minutes in of reading one of my new comic books knowing good and darn well that I wouldn’t make it through the first two pages. I fell into the deepest slumber……. Dreams. Dreams. And more dreams……. My pillow was wet. The sunlight beat down through the blinds that I had forgotten to close the night before. I flipped the pillow to the dry side and covered my head with it to emulate the darkness of the night but was unsuccessful with that failed tactic. I heard the humming of a heavy engine outside but ignored it in my quest to gain a little more sleep. I noticed the comic book that I tried to read was on the floor across the room as I decided it would stay right there until I got up for good. I heard my Mother faintly talking in soft tones to my Father but I couldn’t place where they were in the house because of the drunken stupor that I was in that was caused by fatigue. But I was nosy and wanted to know want was going on because I heard an ever growing crowd of people gathering close by as though something bad had happened……. I rose up out of my bed to peek out of the window and saw an ambulance across the street with a big crowd of my neighbors outside around it. I heard crying and I noticed that the door to Mama’s house was swinging wide open! I immediately knew that something bad had happened to Mama! I donned my clothing and ran outside amongst the crowd and couldn’t believe that Mama was being carried out on a stretcher and the EMS workers seemed to be in a rush to get her out of there. I looked to the faces of all of those around me who were older to see if I could find out what happened by using the silent frozen expressions on their faces to get an indication of what went wrong. Mama was covered except for her head and she although I knew that she was not fully aware of what was going on, the moment she passed by me her head seemed to face in my direction and for a frozen moment in time she had that same very look on her face that she had the night before when she was dancing to the song Misty Blue! She looked happy even though her face was slightly limp and weak looking. I knew that she wouldn’t have too long but I also knew that it was okay. I heard Mama was pronounced dead when she arrived to the hospital. And I thought about all that she had told me and I never forgot a word up to now. I went to the funeral and the strangest thing happened. Her younger sister who looked just like her told everyone at the funeral as she spoke that in the ride to the hospital in the ambulance, she weakly hummed a song that she at times mustered enough strength to even sing under her breath as much as she could. She knew too that it wouldn’t be long as she actually had some type of stroke but still had the command to try to stay upbeat by humming a tune. She said that she knew what song that she was trying to sing because that happened to be one of her favorite songs. she requested that we have a few minutes of silence while she played the song in Mama’s memory. And when the first note played I will never forget the feeling of shock and eventual peace that washed over my body. The song that Mama danced and cried and prayed to! I came to understand that as I watched Mama go through her emotional expression of praise that she was also saying her farewells to this life and was preparing to meet her God on the other side! I now cried because of all the places that she could have chosen to go, she tapped on my window to spend her last evening alive and showed me what a real prayer warrior was as well as to pass on some precious wisdom to an unknowing young man who would find her very words to be worth their weight in gold! Thank you Mama for the wisdom you shared and know that it is my turn to now tap on the window of the subconscious minds of our youth to enter their psyche with the words of guidance that you so generously shared with me that kept me upright to this very day! And it only seemed like yesterday…….. When the “Mama’ taps on YOUR window to share some wisdom with you, you must ALWAYS let her in a listen to what she has to say! You will find that when you do that the words that flow from her mouth are coming from our very Creator HimSELF! …….every time I hear that song I remember that wonderful night.